The Amerigo Vespucci is a famous tall ship of the Italian navy, named after the explorer Amerigo Vespucci who wrote about the Americas. In 1925, two school ships were designed by Lieutenant Colonel Francesco Rotundibuilt based on the 18th-century ships of the line. These two ships were the Cristoforo Colombo and the Amerigo Vespucci. The Amerigo Vespucci was built in1930 in Castellammare di Stabia (Napoli) and was launched on February 22, 1931. The Amerigo Vespucci is a fully rigged three masted steel hull with a total length of 101 metres. The Amerigo Vespucci can reach speeds of 10 knots. In total, the Amerigo Vespucci has 26 traditional canvas sails which are squaresails, staysails, and jibs. The hull of the Amerigo Vespucci is painted black with two white stripes but does not carry any guns. Although it is meant to be used as a training ship by the Italian Military Navy, it is not considered a Man of War. The decking on the Amerigo Vespucci is teak wood. 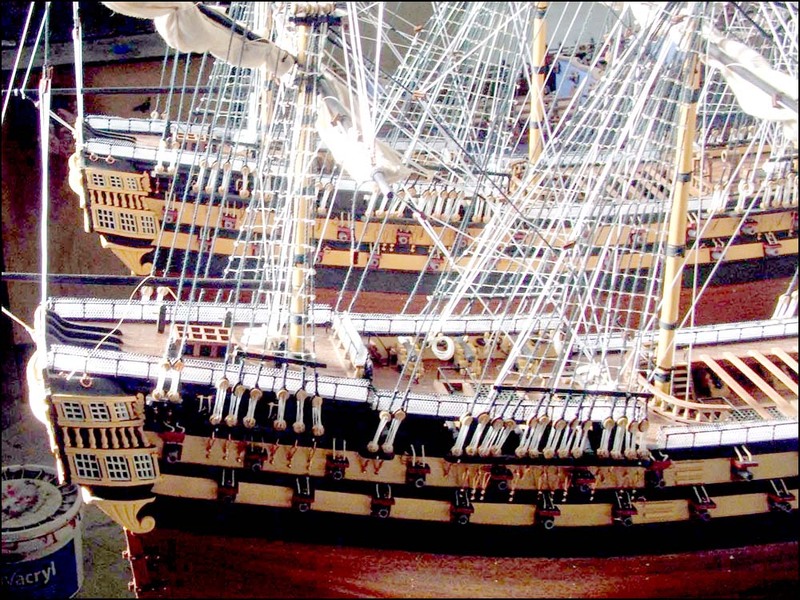 Being Italian, the stern and bow are elaborately decorated with very intricate ornaments. The figurehead is a statue of Amerigo Vespucci. The Amerigo Vespucci is now used as a training ship for the cadets of the Italian Navy Academy (Accademia Navale).